How VSS Helped Baltimore Marine Recovery Operate More Efficiently - Productive Computing, Inc.
Baltimore Marine Recovery, LLC provides emergency towing, salvage, refloat, charter, and launch services to the Chesapeake Bay area. Dale and Christine Plummer have been using Vessel Service Solutions (VSS) for three years. In 2015 and 2016, they won the BoatU.S. Smooth Sailing Award for “Superior Operational and Organizational Standards” - with help from VSS. Q: Why did you decide to start using Vessel Service Solutions? 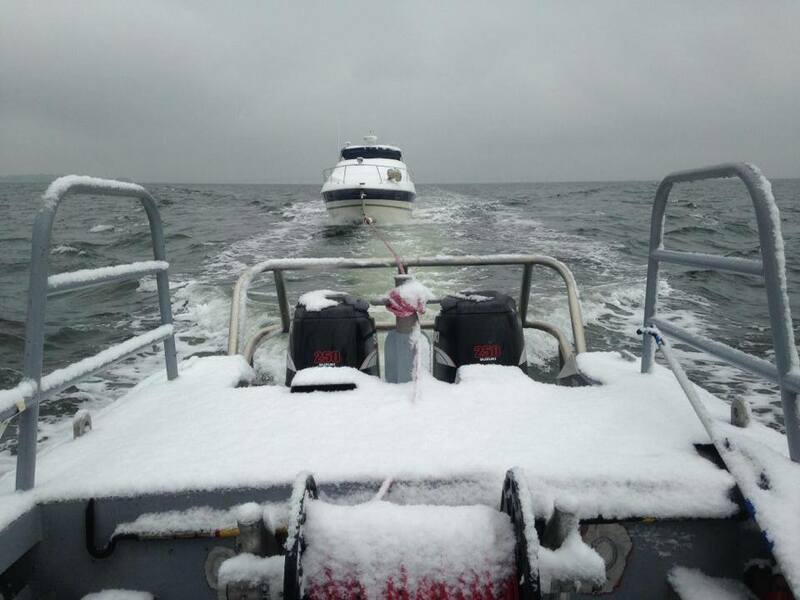 A: We have 10 boats, about 14 staff, and we work out of 3 ports (Annapolis, Baltimore, and Middle River). On top of being busy all year-round, there is a lot of paperwork to deal with on a daily basis. We wanted something to make our lives easier and enable us to continue to deliver great customer service. Plus, VSS allows our captains to handle dispatch orders, fuel and maintenance logs on one iPad application. A: Reduce paperwork! Before VSS, we used the standard issue 2-part carbonless TowBoatU.S. invoice. Forms were lost overboard, misplaced, or just were not returned by the captains in a timely manner. With three ports, it was hard to manage and the captains complained that managing paper in a windy, wet environment sucked! A: In addition to allowing us to go virtually paperless, we've seen an increase in boaters assisted and faster turnaround time on payments from BoatU.S. Being able to email a completed, signed order to BoatU.S. directly from VSS is great. I can also share the completed invoice with the boat owner by email. The system has also made it is easier to process and track orders. I have an accurate and extensive historical record of all orders processed, that I can sort, filter, and search through. I no longer have to flip through old orders in a filing cabinet when BoatU.S. has a question on an invoice. VSS orders can also be submitted directly to my QuickBooks file. Three years ago, I hand entered every order into QuickBooks after I scanned and emailed it to BoatUS. Today, I push a couple of buttons and it is done. The Time Sheets module has made payroll much easier, as well. Instead of calling the captains for their hours, I run a simple report and see all timer entries. If something looks off, I can ask the captain to review and update the timer entries. Once that is done, the updated entries are immediately available to process payroll using the Time Sheet reports. 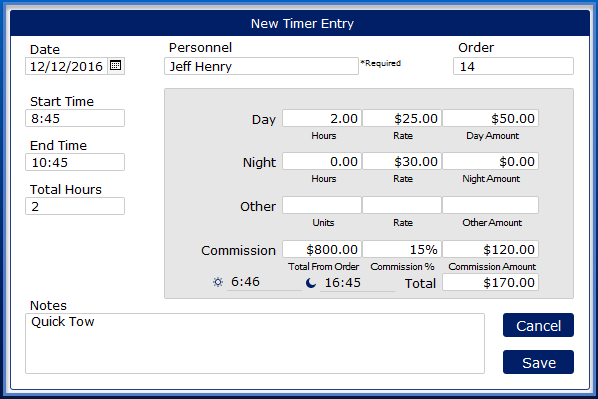 I can run one report and have all employees' time sheets for any time period complete with details for easy reference. A: I have a couple favorite features. The first is remote dispatching. It is a total game changer. I can take my entire office with me. I have the ability to handle calls and dispatch orders from my son's football game or from my home in the middle of the night - without getting out of bed. The second would be ease of use. The system is very straightforward and user-friendly. Even those captains who aren't tech savvy have found the system easy to use. Now that they know the VSS system, my Captains can’t stand using paper. If they manage to leave without an iPad aboard, they always come back and get it! 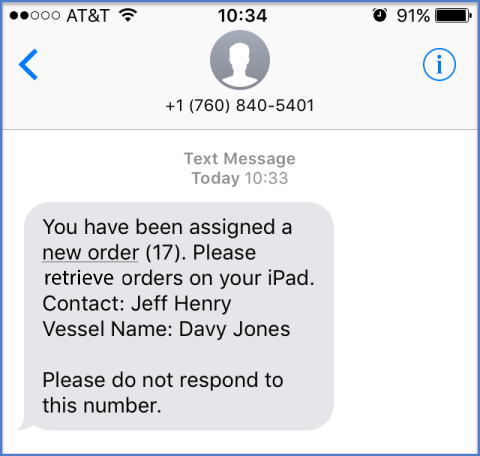 And third would be the text notifications that the captains receive when they have been dispatched an order – my guys use that as the basis for their timers. Each email has the invoice number and every invoice needs a timer so at the end of the day they have a running list to use to create or review their timers.